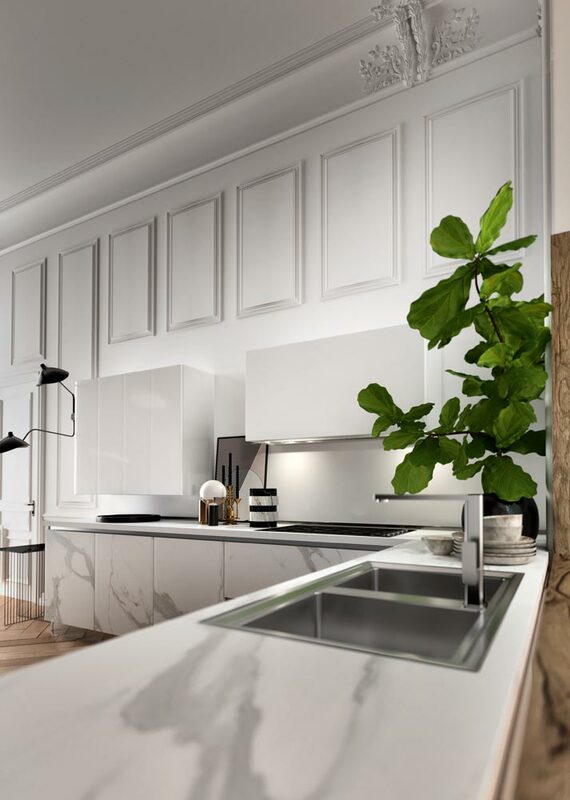 The elegance of the marble, the brightness of white Calacatta and the practicality of laminate for a kitchen with timeless charm. 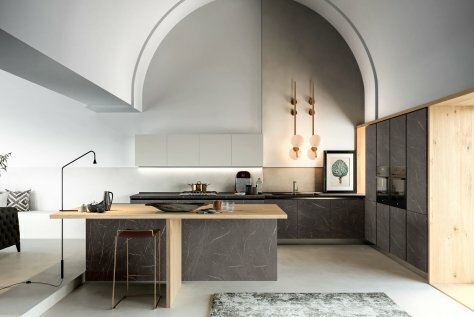 De. 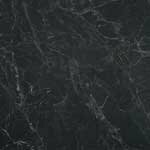 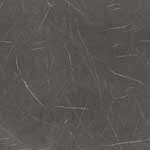 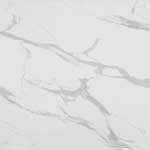 Sign Stone Calacatta white is the beauty of the marble combined with the comfort of laminated surfaces. 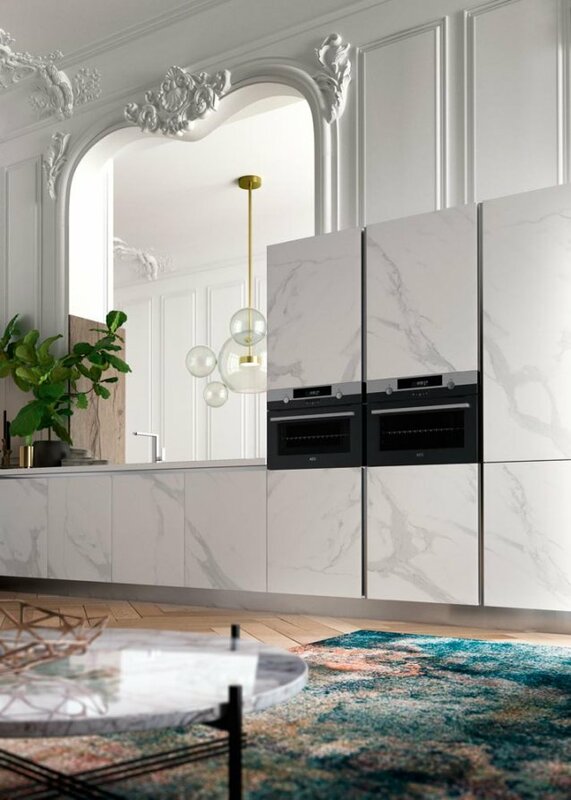 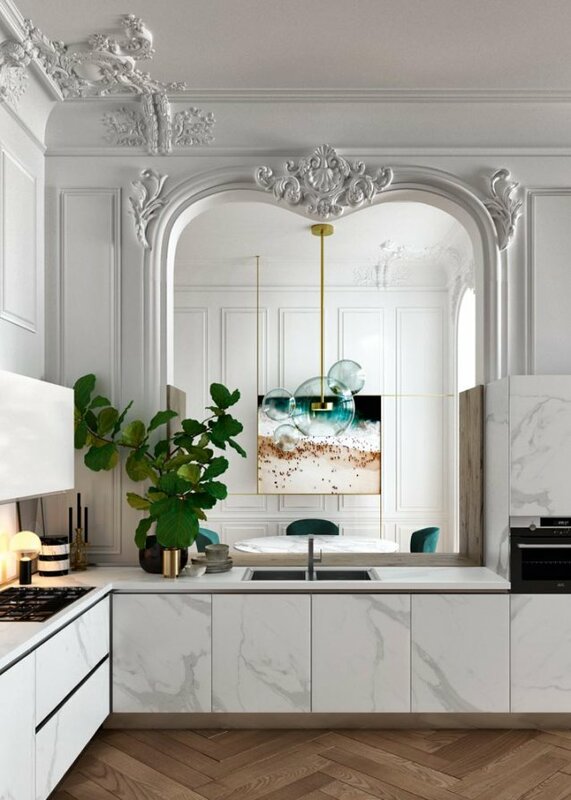 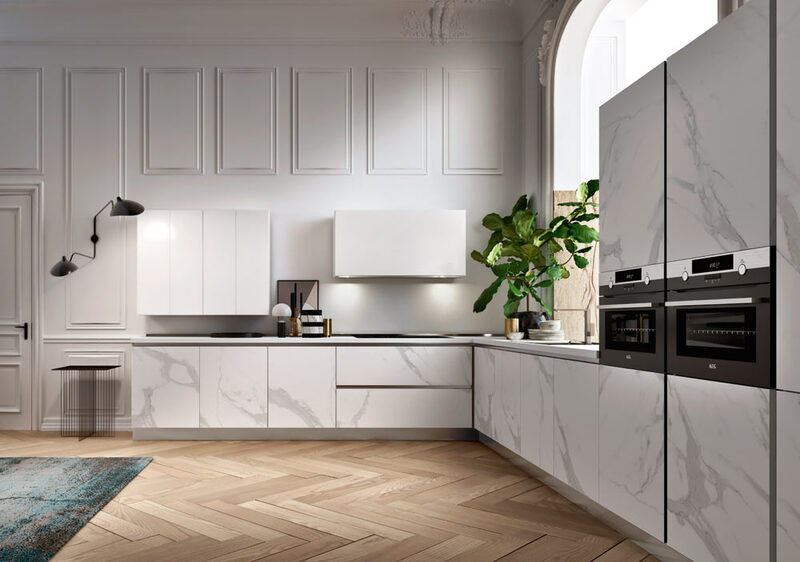 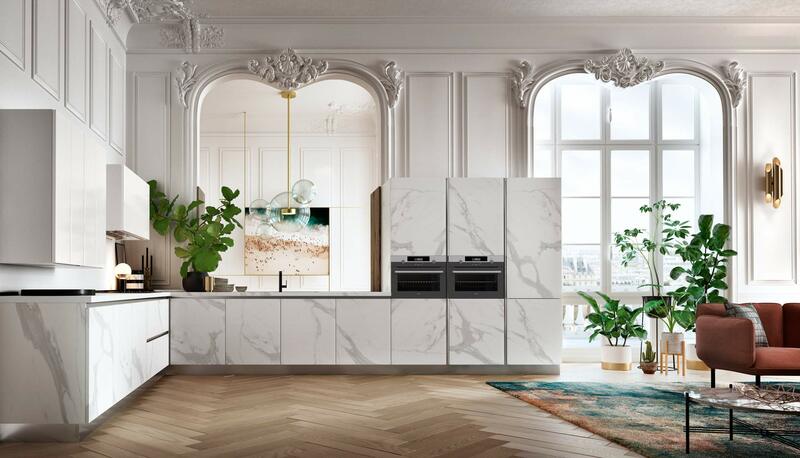 The marble effect in the shades of white draws a kitchen with clean lines, where the elegance is not a luxury, but a practical approach to contemporary needs. 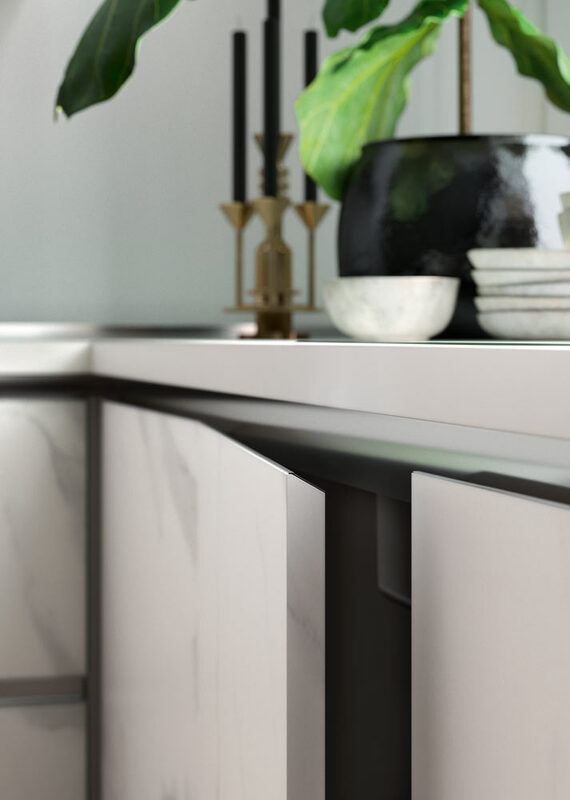 The absence of handles, favouring the opening with flat groove, with door with inclined edge at 30°, enhances the linearity and purity of the kitchen. 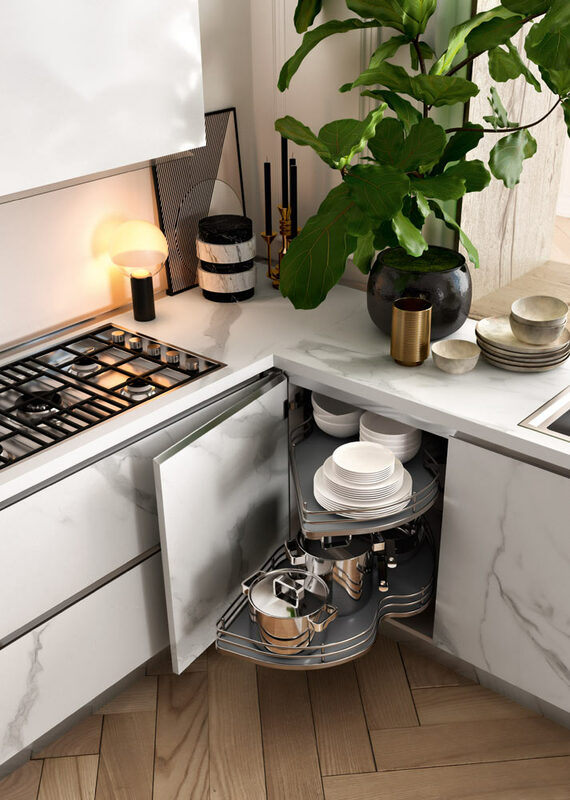 Great attention is also paid to the organization of the spaces through a wide range of accessories to customize the kitchen and find a right place for all the things, as the equipped and cabinets.